Healthcare providing online services and websites are have become rampant. While some portal let people seek solution to their health problems, others let users look for guidance in choosing doctors. Then there are blogs dealing about cure, home remedies, ailments growing rapidly. Recently ‘dMetrics’ of Massachusetts Institute of Technology considered information given by online users as a very useful resource for the health care industry as it can potentially be used to perform research and develop new products. 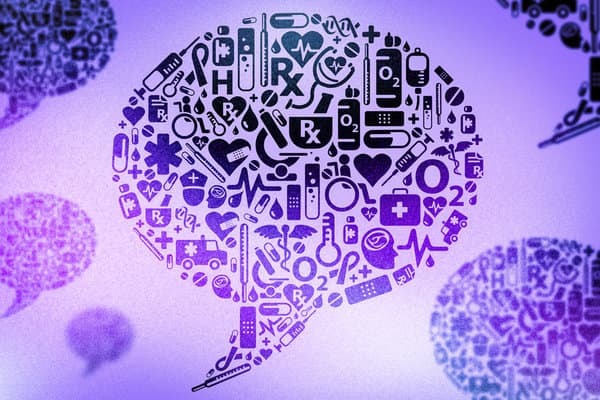 According to the Co-founder of dMetrics, Paul Nemirovsky, in the health care industry there are large chunks of unstructured data available which can be put to use to extract useful information about the chatter. The startup dMetrics has developed a platform known as ‘DecisionEngine’ which is based on Machine learning and Natural Language processing technique. It helps computers to understand human language efficiently and process the available conversations, regarding drugs, medical devices, and other health care products. These discussions are continuously taking place on popular social networking sites such has Facebook, Twitter and Google+. From the vast available data, DecisionEngine sorts out the useful data and processes it. Nemirovsky explained that dMetrics has a database that includes every public comment about patient-reported illnesses, solutions, and outcomes, pulled from more than 1 million online sources. This includes information on more than 14,000 health care products. Conventional software generally depend upon ontology i.e. usage of popular words, naming and definition to detect the conversation. However according to Nemirovsky, detection using Ontology might not work efficiently for humans beings. They have devised ‘DecisionEngine’ in such a way that it can extract the information from slangs, misspellings, run-on sentences, and crazy use of punctuation. It has an algorithm consisting of 2 million lines of code, which when combined can became powerful enough to comprehend spoken human language. Visualize the software as a three tiered funnel. The more refined the discussion is, narrower the funnel gets. At the top of the funnel, the software mines all mentions of a particular word or phrase associated with a certain health care product while it filters out “noise” such as fake websites and or spam. The next level of filtration includes the users’ personal experiences, promotional news and other unimportant things. The last level determines people’s decisions and responses, such as starting to use a product — or even considering doing so, experiencing fear or confusion, or switching to a different medication. This platform has already started working and different websites are taking its help. Recently, Nemirovsky said that a pharmaceutical firm used ‘DecisionEngine’ to determine if an allergy medication had improved the quality of life for a subgroup of patients. Analyzing specific issues associated with the subgroup, the firm discovered that the drug gives an exceptional positive result compared to that of other brands. The firm used the results in a regulatory submission — a critical stage in introducing any health care product to the market. Many non profit organizations are taking help of it and the count is steadily increasing with time. Now, dMetrics is aiming to also introduce the software to sectors other than health care with a goal of empowering the masses with useful information.